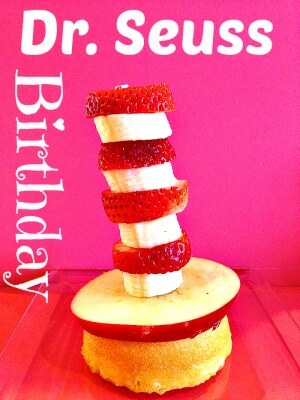 Here is a fun and healthy snack to make as a Doctor Seuss birthday treat on his special day in March. Easy and inexpensive to do with fruit. Dr. Seuss’s birthday is coming up on March 2nd this year in 2015 and here is a fun and somewhat healthy snack to serve up that looks like his hat!! Simple and easy to do here is our Doctor Seuss Birthday treat. You just need some fruit and a strawberry shortcake cakes to do this one! I put the cake on the bottom for his hat and used a slice of red apple for the brim. 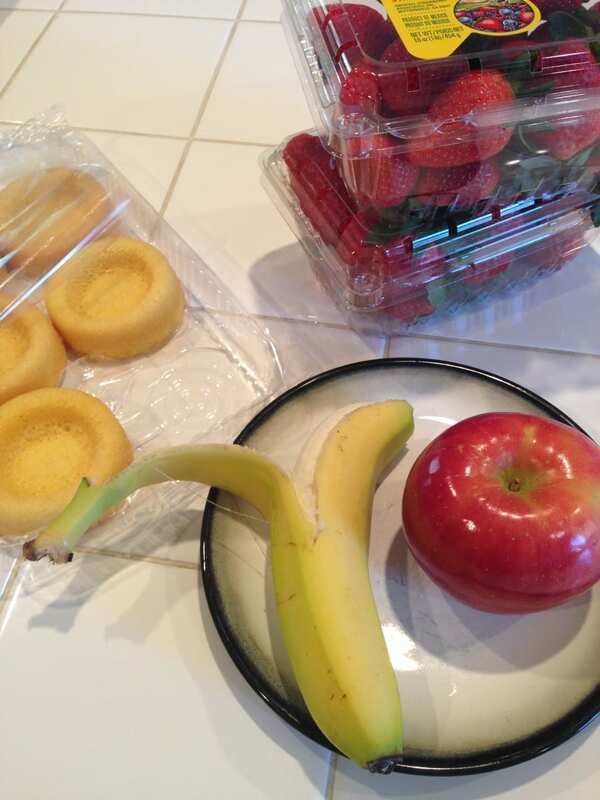 The slices of alternating strawberry and banana slices are just pushed on to a straw that is put in the middle of the apple slice and the cake in order for it to stand up. Just use as many strawberry and banana pieces to create his hat and cut off the straw at the top when you are done. FUN!! 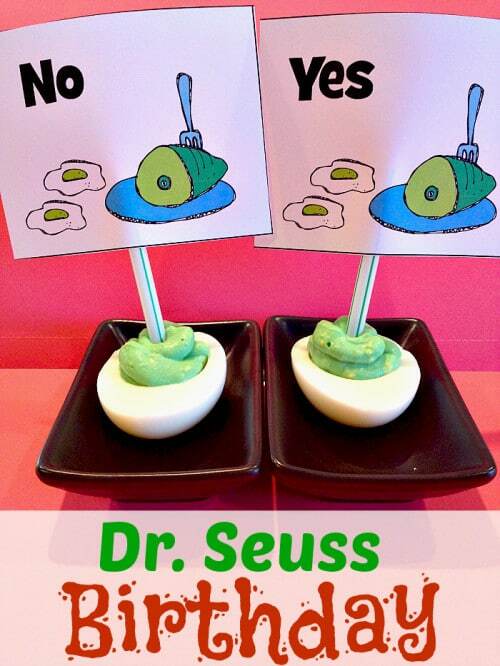 Here is another fun treat to do for Dr. Seuss Birthday.